Last week I realised that things had become too much, and that I wasn’t the right person to be running the Tree House…several people have managed to persuade me otherwise, one or two more have come forward to help, and my offer to sell the business has been withdrawn – you are stuck with me! So I have been working on putting into action some of the ideas I have been considering and developing in recent weeks and months, and the first one is to start doing some art history talks/lectures in the shop. 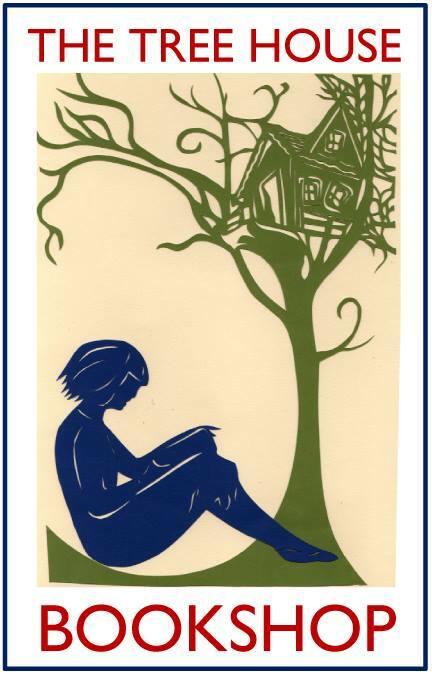 I am an art historian by profession, having taught at a few different universities and other institutions, and still work as an art history lecturer as well as running the Tree House. So I have devised a short series, to kick off this new aspect of the project, on the subject closest to my heart, the art of Renaissance Germany. Not the widest known nor best loved of art historical periods, but it contains untold riches and many surprises. 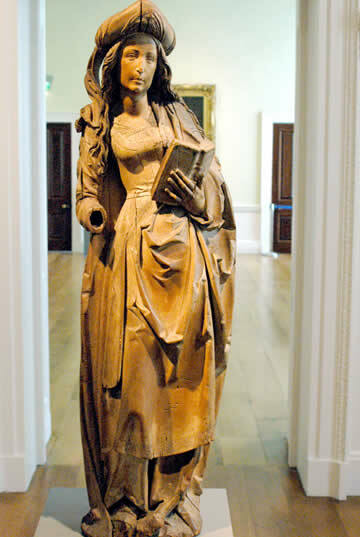 As a starting point, I have chosen what I consider the jewel in the wonderful collection at local Compton Verney, a limewood sculpture of a female saint by Tilman Riemenschneider. A name that trips off the tongue, no doubt… But here she is – the finest example of Riemenschneider’s work in the UK. I rarely get to Compton Verney, as I don’t drive and it’s impossible to get there without private transport, but it’s almost enough in itself as an incentive to learn (I have a long-held dream of owning and driving a Morris Traveller…). It is a wonderful museum to have in our locality, and I would urge anyone who hasn’t been to go when you can – they have a lovely collection of German art, a rarity in itself in this country, but a wonderful collection generally, in beautiful grounds and with a lovely cafe! So a local starting point, but an expansive journey onwards through the riches of German art of the late fifteenth and early sixteenth centuries. The lectures will be on Tuesday mornings at 11am, and the charge will be £5 per lecture, to include coffee and biscuits. They will be standalone lectures, but as a whole they constitute a short exploration of German art of the period. If there is any interest, I can repeat them in the evenings at some point; and I will be planning further talks in 2014. If you are at a loose end on Tuesday mornings and want to escape the colder, darker days of autumn and winter, come and spend an hour or two looking at glorious images by some truly extraordinary artists.